This article, Basic Tips for Watering and Pruning Roses, is sponsored by Monrovia. All opinions are 100% my own. When we moved into our new home, the previous owner loved roses. 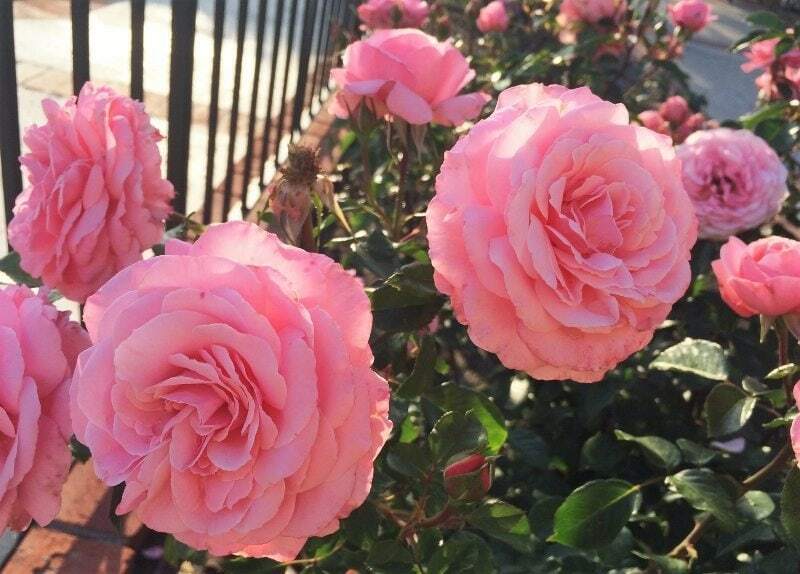 In fact, we have over two dozen beautiful rose bushes and in many colors like, pink, red, peach, yellow, and white. Because of this, my husband and I had to learn very quickly how to care for them. 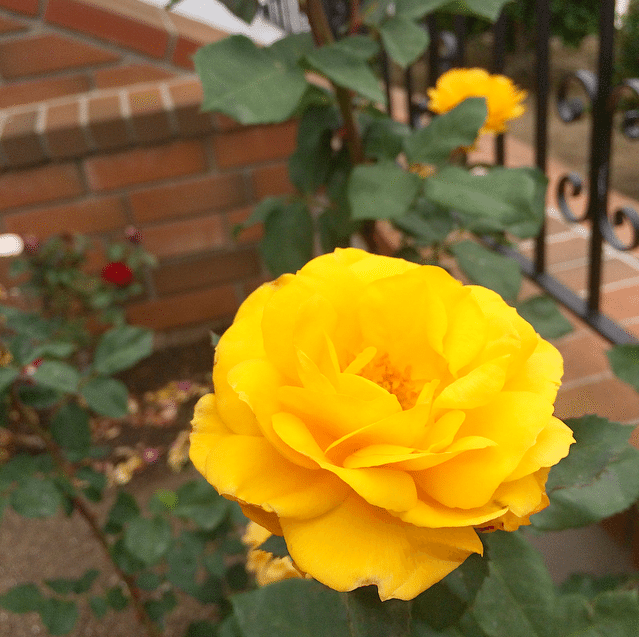 I have always thought I lacked a green thumb, but surprisingly learning to care for roses was simpler than we thought. 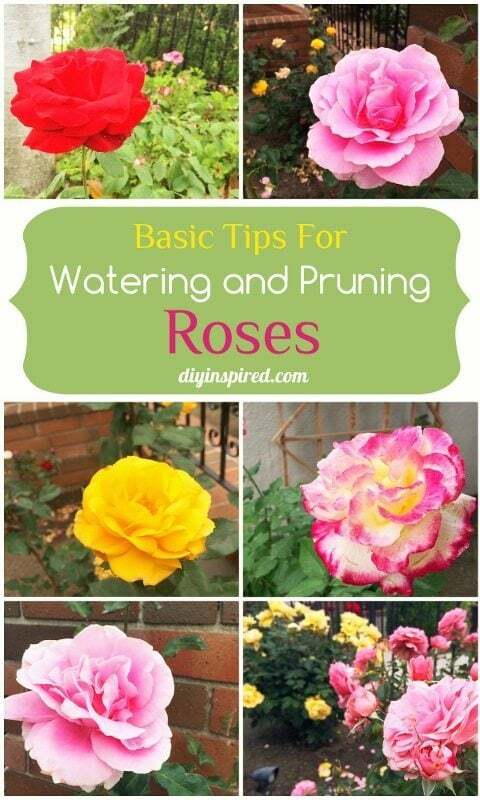 So, I thought I’d share basic tips for watering and pruning roses. Roses bloom in spring, summer, and fall. They need full sun for at least 6 hours a day. To create a healthy and beautiful garden make sure you choose premium flowers. Monrovia has a great selection with many different colors and hybrids to choose from. Be sure to purchase roses that fit your climate. You can always ask a gardener at your local garden center for help. It’s difficult to overwater roses. Mulch will help keep the moisture in, insulates roots, and conserves water. 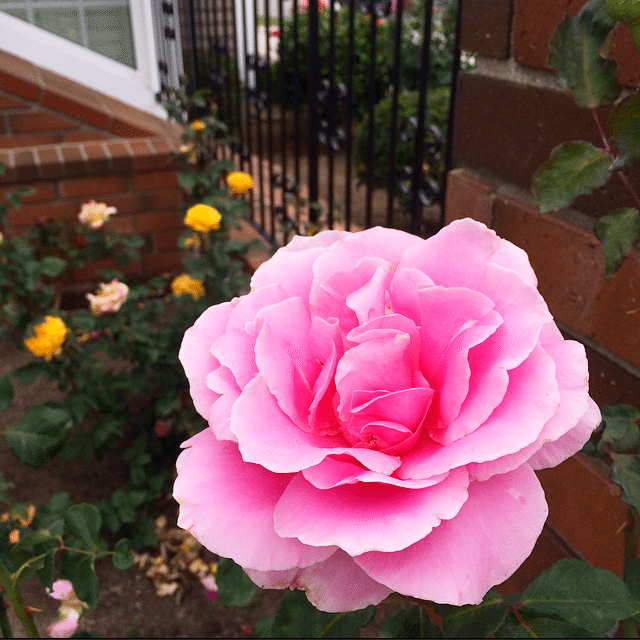 To ensure a healthy well-nourished rose bush, follow these watering tips. 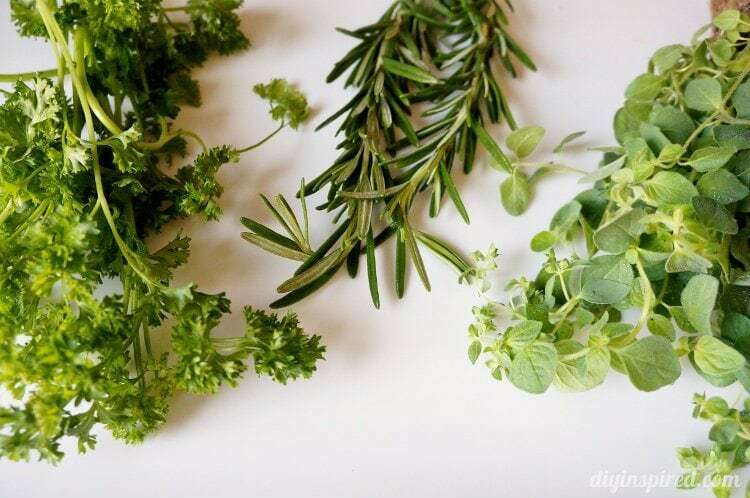 Pruning is important not only to maintain shape and encourage flowering, but pruning improves health and prevents diseases as well. 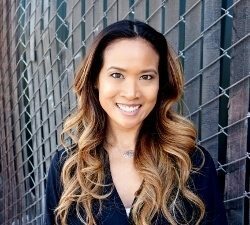 I hope these tips help and encourage you to plant your own rose garden! Hop on over to Monrovia and find a premium variety of edibles, perennials, and fragrant shrubs to get your ideal garden started!